Franklin Stamped Concrete is your source for quality concrete installation, maintenance, repair and replacement in the Franklin area. Whether you’re looking to add more to your properties aesthetic or to provide a new way to experience certain aspects of your various surfaces, making the choice to call into our concrete contractors will provide you with the best possible results. We bring you the highest level of experience and expertise when it comes to all manner of concrete services. Franklin Stamped Concrete is dedicated to bringing the best in concrete solutions. 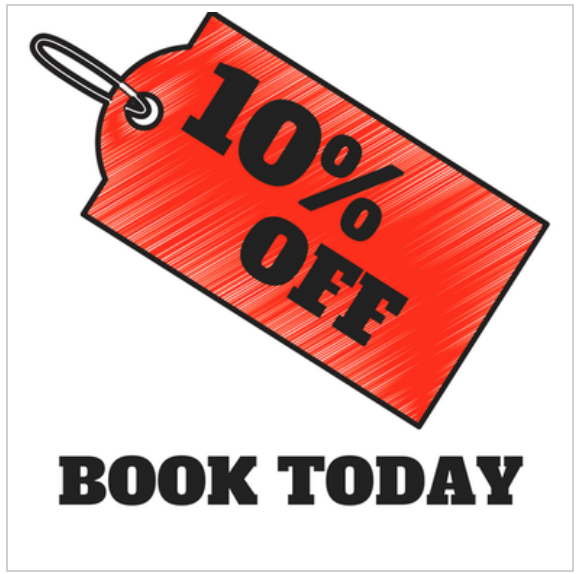 We understand that the services we bring to the city not only provide you with a practical installation for your property but also the capability to beautify the city a little bit more with every outing. 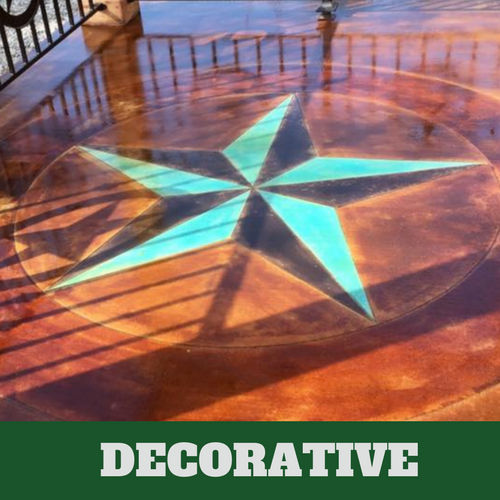 We not only focus on bringing you dependable concrete choices but also provide you with the finishing touches you’re looking for when it comes to personalizing your property in an effective way. Whether for a concrete driveway, patio or flooring, you can depend on Franklin Stamped Concrete to bring you quality. We provide a wide range of service options in order to ensure that we can cover your needs. From concrete flooring to pool decks and more, you have the means at hand to have not only a dependable and durable installation in place, but one that adds to the overall appearance of your home or business. With the best cement contractors in the city at your side, working towards your desired result, you can be sure that you have the capability to get the perfect installation, repairs and replacement services to cover your needs in the Franklin area. 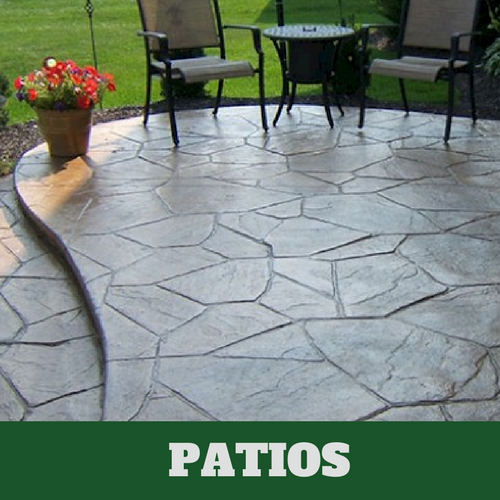 The service we are most well known for in the Franklin area is that of our stamped concrete options. Whether you’re looking for a driveway, patio, pool deck or otherwise, having the means to personalize your space in an effective way while retaining the durability that concrete provides. No matter the specific look you’re trying to obtain, you can be sure that the concrete contractors at Franklin Stamped Concrete can provide you with results. More than just a parking space, your driveway brings you the means to better utilize your exterior front yard and to provide you with a durable location outdoors. 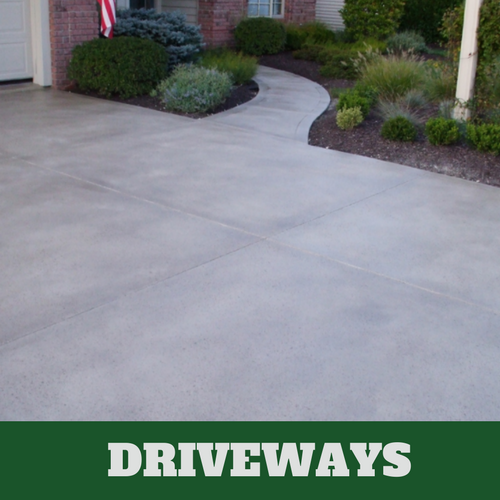 When looking for a beautiful driveway installation that will stand up to the rigors of Franklin area weather along with the effects of being used on a daily basis, then ensuring that the concrete companies bringing you the results you seek are the best possible option in the area. 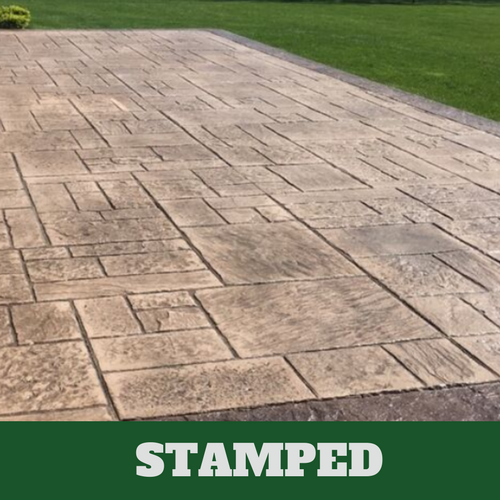 Whether looking to provide your home’s exterior with more capability or tying off the look of your current landscaping and hardscaping, turning to the pros at Franklin Stamped Concrete for a stamped concrete patio is the way to go. We bring you the variety of aesthetic options you’re looking for while setting it atop a foundation of reliable concrete that will hold up to your intended use over many years. 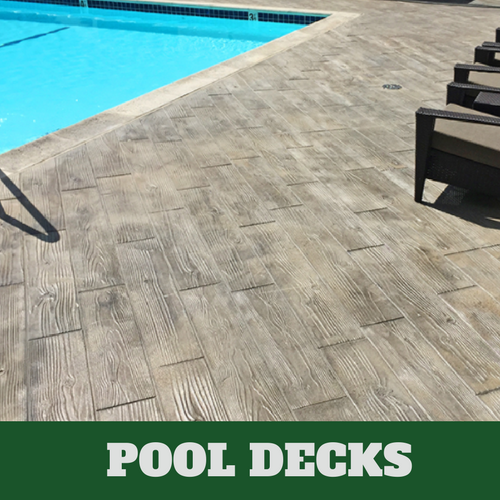 Providing an attractive and safe exterior space to surround your pool is the goal of our concrete pool deck installation and repair services. We bring you the treatments you need to provide a slip-free surface while still giving you a space that is attractive to the eyes. Enjoy your pool to its full benefit all year round with the specialized touch of your local concrete installation, repair and maintenance experts at Franklin Stamped Concrete. Concrete flooring brings you a highly rugged surface that’s perfect for homes, businesses and other highly trafficked areas. 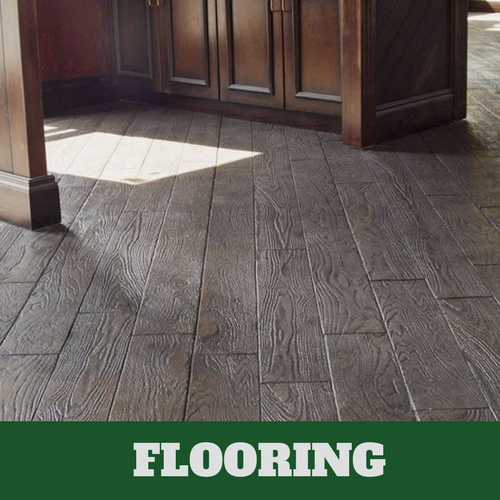 Whether in an industrial setting, or a stained concrete floor option for your residence, you can count on the experts at Franklin Stamped Concrete to put the necessary attention into all aspects of our installation services in order to bring beauty. When you need the best in the city to provide results, you can count on the professionals at Franklin Stamped Concrete. We not only look to bring you a dependable concrete installation but also to provide you with the means to personalize your space in a way that works to accent your own unique tastes. Whatever the results you’re looking for, stamped concrete, stained, flecked or otherwise, making the choice to call the local decorative concrete specialists at Franklin Stamped Concrete will ensure that you get a beautiful surface that will last for the life of your property. When looking for the assistance of a professional concrete company for your needs, then reaching out to the experts at Franklin Stamped Concrete is the easiest way to do so. We provide you with a simple and effective means of communication unhindered by interruptions such as answering services or otherwise. We are here to bring you the information you need when it comes to quality cement installation, repair and maintenance and to ensuring that when you take the time to reach out to our experts, that you have the capability to get straight into having results provided for your needs.